Together with top suppliers and partners TwoGather has developed the new standard in event services. 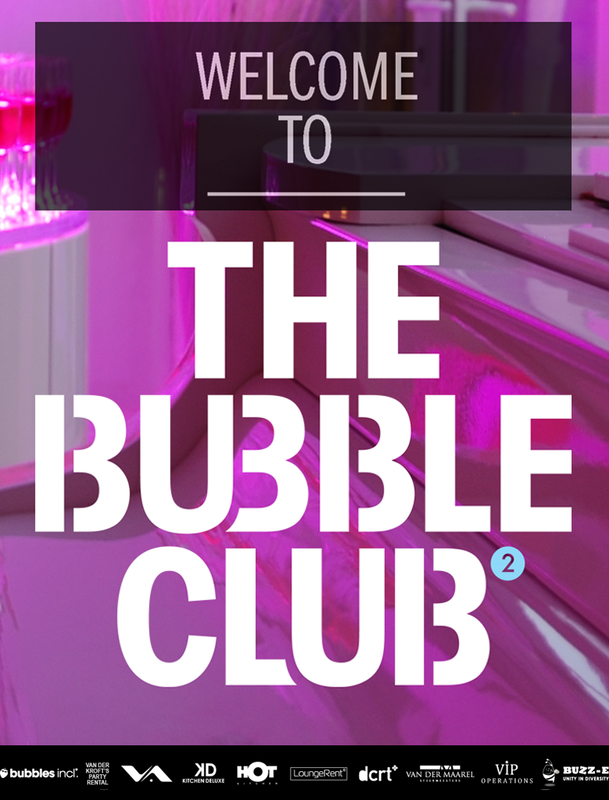 Focused on a ready to use product TheBubbleClub sells transparency, efficiency, quality, design, champagne culture, great sound and music and the best chefs you’ll find in catering. The club is a total club concept from furniture to sound systems, from dancers to DJs, from business to business. But the most interesting thing is that we managed to keep it simple, cool, hip and trendy at the same time. Like a push on a button we set your order in motion, while you only have to deal with one contact, one contract and one invoice. TheBubbleClub saves you time and effort, makes things easier, while at the same time telling you who is supplying what and when. No secrets, no secret agenda’s, no last minute price changes, no hidden costs, no hassle! We keep your employees focused on their job and we focus on the event club you like and ordered. We work from the basics on forward in stead of offering you huge tailor made concept with high prices, we aim on budget and quality, we aim on service. So in stead of ending up with a mediocre event for to much money, since you had to pay all the hours the supplier made from the first meeting onwards, we provide you with a total high end concept for reasonable prices. In the end you will be better of with TheBubbleClub. So just become a great fan of the blog, the facebook page, Twitter, Linkedin and spread the news amongst friends and collegues. You can help them save time and money as well. Just refer them to http://www.thebubbleclub.nl and give them the time of their live.